Don’t let Halloween candy derail or slow your diet down this trick or treat season. Cheating is a slippery slope. Especially when junk food and sugar is involved! Once cheating on your diet, it can easy to fool one’s self into thinking it will be easy to get back on track with a diet. This flawed thinking is far easier said than done. By making one bad diet choice, that inner voice of temptation awakens within us, saying“Well, I’ve already cheated, so I should just go ahead and eat the rest.” Dedicating yourself to simply not cheating on your diet is your best and smartest dieter game plan.Be mindful. Think about the temptations that will surround you this time of the year–at work, home, school, and even display in retail stores you frequent. Halloween candy won’t go away, so you need a plan to help you steer clear of sugary temptations that are simply bad for your diet or no diet. 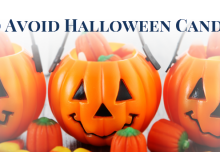 To help you make good choices, the coaches at BodyTech Weight Loss and Health Clinic in Rockville, Maryland has prepared some simple advice for you to think about and to help you maintain control over your diet this Halloween season. Instead of focusing on foods or treats you miss eating while dieting to lose weight. Instead, try focusing on being more mindful about your diet and the reasons why dieting is so beneficial to you. Understand that there will be temptations that will surround you this time of the year–candy and sweets on display at work, home, school, and even display in retail stores you frequent. It’s your job to navigate this time of year by staying strong and placing a higher value on your health and weight loss goals than a few junk food. Halloween candy won’t go away, so you need a plan to help you steer clear of this harmful sugary temptations. After all, science has clearly shown us–thanks to recent in-depth studies–that simple sugars are not just bad for our bodies, they are harmful to our health…diet or no diet. To help you make good choices, the coaches at BodyTech Weight Loss and Health Clinic in Rockville, Maryland offers some simple advice to help you maintain control over your diet this Halloween season. Try these tricks, not treats, this Halloween season to keep your diet goals on track! 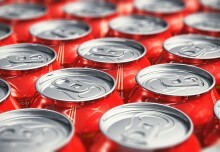 Think about how bad sugar is for your body. Did you know that leading nutritionists, dieticians, and other medical professionals consider sugar the #1 drug of choice in the US? 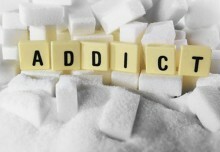 Simple sugar is fattening, inflammatory to our bodies, highly addictive and, when consumed in excess can make you sick. Minimize temptations by buying Halloween candy the day children trick or treat. This way it’s not sitting around your home or office tempting you to binge. Focus your Halloween celebrations and fun activities on something besides candy. The holiday can be fun and festive without being focused on candy binging that leaves you feeling sick and miserable the next day. Remember, as an Ideal Protein dieter in Phase 1, that you are in a temporary state of restricted dieting to achieve your goal. One day you will be able to eat some candy (in moderation), just not now. Focus on the idea that this is a temporary restriction against all candy and not forever banned from your diet altogether. Ask friends, colleagues, and family — including children too– to help you stay on track by being supportive of your diet. Let them know you really want to lose weight and achieve your goal. Ask them to offer you encouragement, but just not any candy. Tell them you appreciate their support for you on your diet. Need more motivation to avoid Halloween candy? Try recalling why you started your diet in the first place. Remember what feelings or emotions lead you to diet. Ask your coach to email a copy of your before picture too. This should help you recall why your diet is so important to you and help you maintain a stronger state of self-control when temptations surround you. Be honest with yourself. Is binging on candy for a few minutes of “pleasure” more important that losing weight, looking better in your clothes, improving your health, feeling more healthy and energized? We think the answer here is a clear no brainer! We understand dieting isn’t easy. Regardless of the challenges experienced, a good diet is definitely worth all the effort! Need for reasons to avoid the harmful effects of Halloween candy and other sugary sweets? Call the diet coaches at BodyTech to gain more insight and drop more weight! Attend a FREE, no-obligation seminar to learn more. Sign up now! Is Your Stress, Anxiety, or Depression Making You Fat? What's Your Plan For Halloween?